Like many of us, Ready Player One author Ernie Cline is a disciple of Steven Spielberg. If you grew up in the Eighties or Nineties, his films were your everything, which is why they’re so important in the Ready Player One book. But they won’t be in the movie. So what movies does that mean specifically? Well, in the book Back to the Future is a huge, huge part of the story (a film that Spielberg produced). The Goonies and Indiana Jones films are in there, E.T. (the game more than the movie) as well as several direct references to Spielberg himself. Whether or not any of that was in Zak Penn’s adaptation of the screenplay, we don’t know. But they won’t be in the final movie. Which means, for example, we won’t get to see Parzival drive through the OASIS in his custom Delorean. The decision comes as Spielberg is deep into pre-production and casting for Ready Player One. But, as usual, that’s not all. He’s promoting Bridge of Spies (which is out Friday) and is in post-production on the Roald Dahl adaptation The BFG, which will be out July 1. Not coincidentally, that’s roughly when Ready Player One will start shooting. “I’m trying to get the whole thing cast by the first of the year, and start shooting in July,” the director told EW of the adaptation. 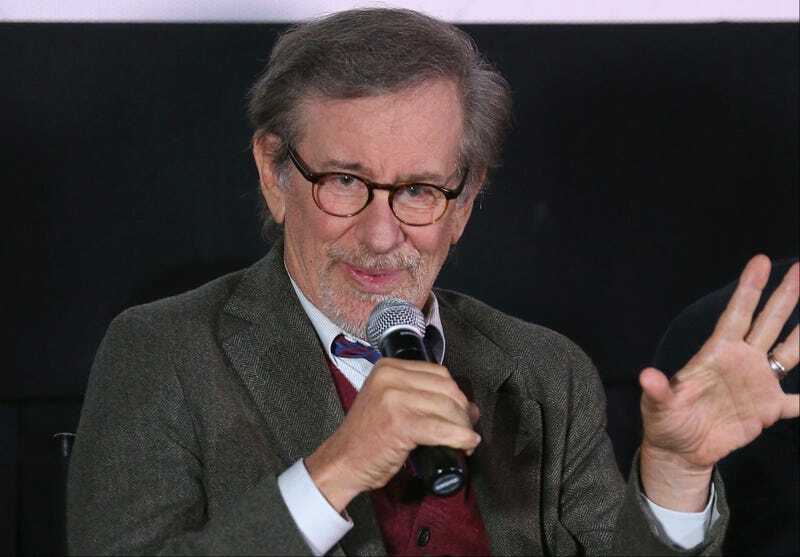 So if Spielberg, who is undeniably an influence on Ernie Cline’s pop culture world, won’t be part of the movie, why make the movie at all? The director sees Ready Player One as a very unique, timely opportunity. Ready Player One will be released December 15, 2017.